When Robbie Rogers stepped onto the field for the LA Galaxy in 2013, he made history as the first openly gay man to play in a major US professional sport. 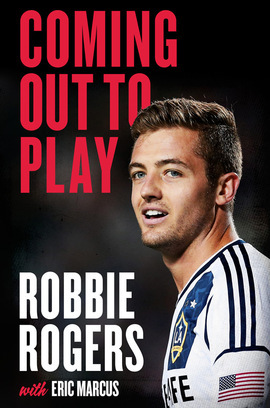 Coming Out to Play tells Rogers’s harrowing story as a closeted gay man in the ultra-heterosexual world of professional football, his decision to come out and leave behind his beloved sport, and his subsequent return to football – signing for the LA Galaxy. both inwardly to himself and outwardly to teammates, friends, and family. In a February 2013 blog post that received global attention, he finally came out to the world. Rogers’s memoir is a moving account of love overcoming prejudice, and a clarion call to other gay sports people around the world to openly embrace their sexuality.